Happy hump day, dear readers! My day started off on the wrong foot at 3AM with sick kids, and while they are finally asleep again, I am exhausted but too awake to sleep. I'm definitely coming down with something myself, so I wanted to get this post p while I feel able. Let's jump on in! It's that time of year where the stores are filled with holiday items, and we'll soon be hearing carols if you haven't already. It's one of my favorite times of the year, and I am thrilled to be sharing the new Enchanted Collection by Zoya with you. This six-piece collection introduced four new shades to the PixieDust textured lineup and two shifty beauties. Let's check them out! 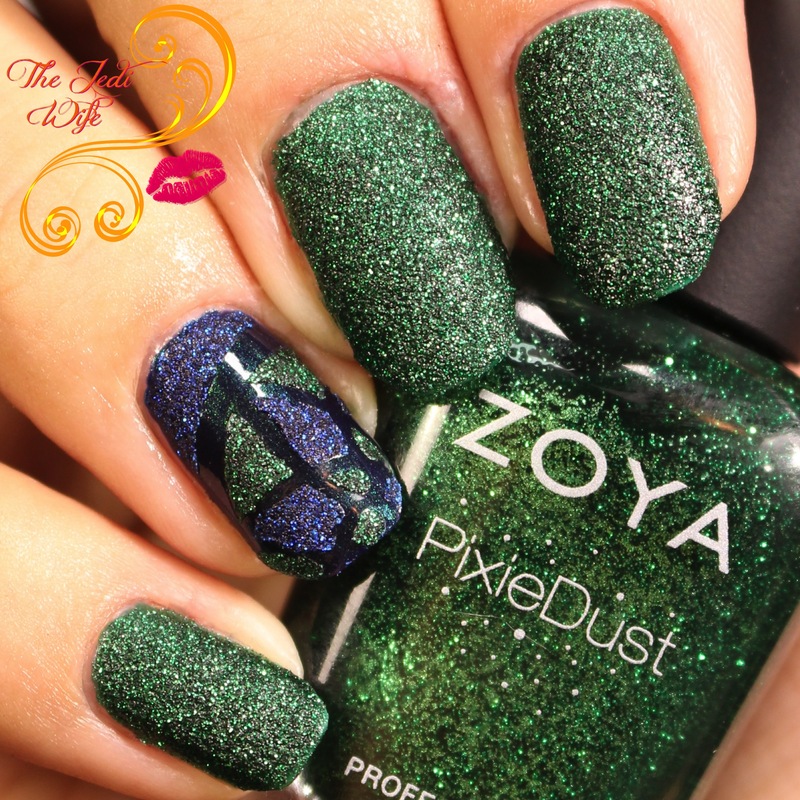 Elphie by Zoya can best be described as a bewitching emerald green with a sugary green sparkle in the exclusive Zoya PixieDust Matte Sparkle formula. 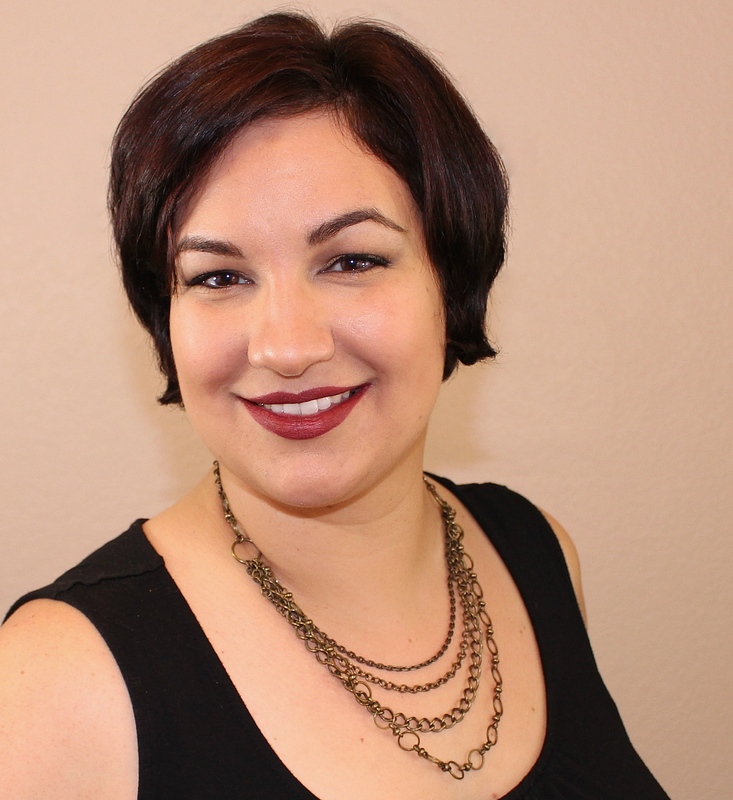 I am in love with this green, and I know I'll be using this beauty a lot this holiday season! The formula was fantastic as well. 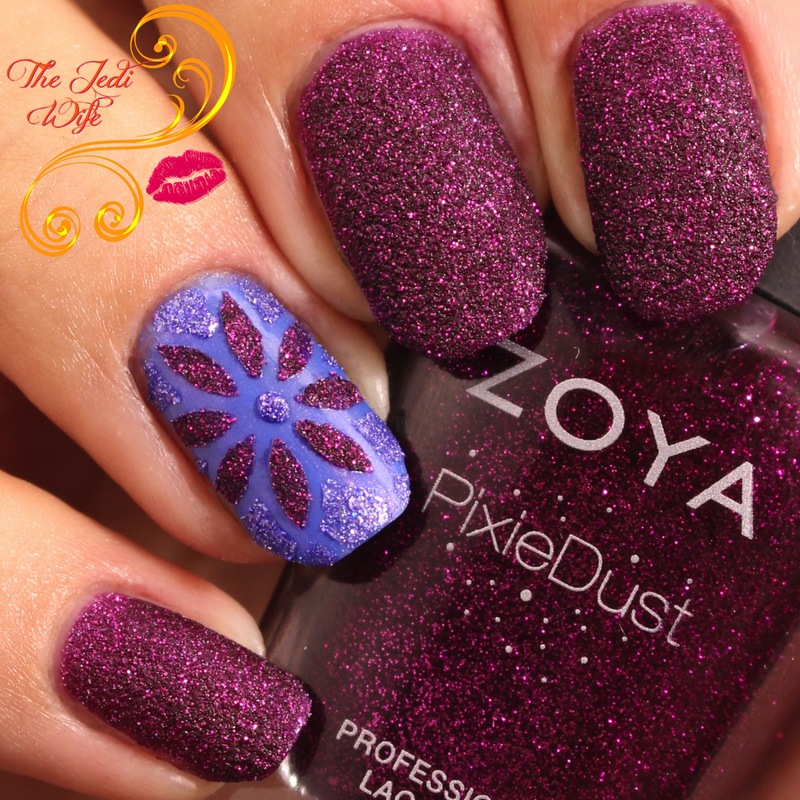 If you're a fan of the PixieDust finish, this is a must-have to add to your collection! Alice by Zoya can best be described as a captivating periwinkle with magenta and blue sparkles in the exclusive Zoya PixieDust Matte Sparkle formula. I was actually surprised just how much I liked Alice. I'm not one for periwinkle shades in general, but this one is really pretty. I think the finish added something interesting enough to get me over my normal disinterest in the shade. This applied easily as well. Olivera is arguably the star of this collection with its moody shifty goodness. I'm not sure if my bottle was a fluke, but the formula was different than other Zoya nail polishes I ever used. It was a little thicker, but definitely not too thick, and the pigment was amazingly dense. This can easily be a one coater if you tend to apply polish on the thicker side. I'm not exactly sure what it is about the holidays that make me think of berry shades, but whatever the reason, I am so glad to see it in the PixieDust formula! This applied easily for me like the rest of the collection. Saint is a pretty colour with so much gorgeous shift! It is a periwinkle shade and therefore not one of my personal favorites, but I can certainly see why others would love this shade. The formula was on point as well, and the shift might be enough to make me grab for this shade a few times this season. Waverly is the final PixieDust shade in this collection, and is is such a perfect shade of blue.While I like my sapphires in the full colour spectrum, there is just something to be said about the complexity of a blue kashmir sapphire. Waverly has such great depth with a fabulous formula to boot. 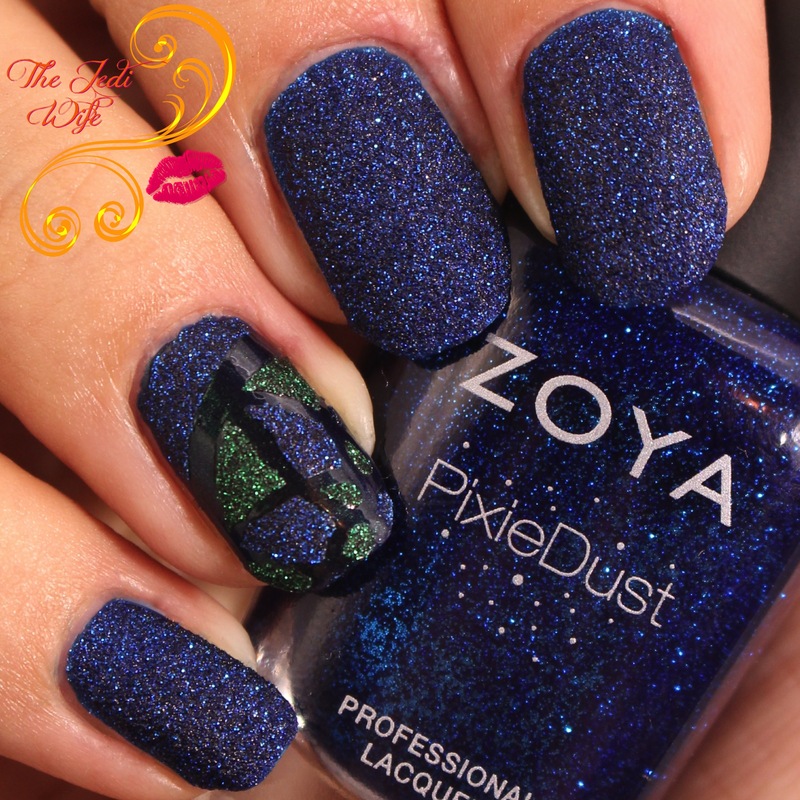 The Enchanted Collection is already available for purchase from Zoya here. Each shade retails for $10, and all of these shades are exquisite. My favorites are Olivera, Waverly, and Alice, although you can't go wrong with any of them. Should the PixieDust finish not quite be your thing, you can also top them off with top coat for a shiny and smooth finish. Oh! And if you liked the accent nails from these swatch photos, check out my previous post for the stencils I used for these fabulous looks! What are your favorite shades from the Enchanted Collection? Will you be wearing your PixieDusts textured or smoothed over with top coat? I'd love to hear from you! I'm really loving this collection from Zoya. They did a great job! They did so good with this collection! These are all really pretty,but textured polish makes me crazy! I love both the shifts. Saint especially is my kinda shade. I like the shifts but I do feel Zoya has been doing the same thing over and over. I am in LOVE with this collection. Waverly and Elphie are still my favorites. This is a pretty collection, but I am beyond over textured polishes. You make them look great though! And I hope everyone feels 100% better soon!! I love Saint. It's definately one of my favorite Zoyas. Love this collection & the nail art you did! Your swatches are lovely! I hope that your little ones along with yourself get better soon. These look so amazing on you, I love the accents you did on your ring nail!